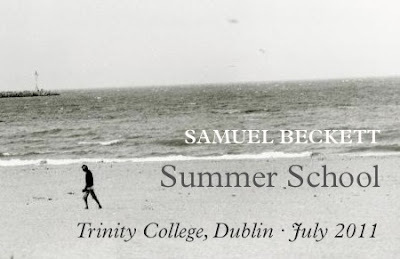 Trinity College Dublin is honoured to present the annual Samuel Beckett Summer School, a weeklong celebration and exploration of the works of one of its most famous graduates. Each year we will invite the world’s foremost Beckett scholars to present new lectures and seminars on all aspects of Beckett’s works. We hope that the School will appeal to a wide range of Beckett enthusiasts by providing the opportunity to savour and study Beckett’s works in the context of the university where he began his intellectual life. The Summer School will run for one week in July/August, this year from 11 to 15 July. There will be two lectures in the morning and a choice of seminars will be available in the afternoon. In the first year we will run four seminars; enrolled students will choose which seminar they wish to attend when they register. One of the seminars will be a drama workshop and one will be a reading group. In the evenings we will offer a range of activities, which may include a performance of one of Beckett’s plays at the Samuel Beckett Theatre specially commissioned for the Summer School. The Library at Trinity College, which houses a significant collection of Beckett’s manuscripts, will prepare an exhibit for the Summer School. Each year the Summer School will have a unique theme, which will be addressed in one of the seminars and two of the lectures. The theme for 2011 will be Gilles Deleuze and Samuel Beckett. Confirmed speakers for 2011 include: Linda Ben-Zvi, Ian Buchanan, Gerry Dukes, S.E. Gontarski, Barry McGovern, Mark Nixon, Sarah Jane Scaife, Dirk Van Hulle, and Shane Weller. The Patron of the Summer School is Edward Beckett. 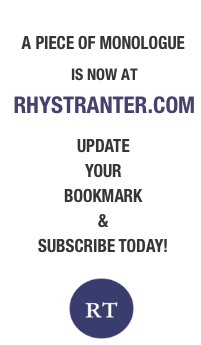 Full information about the 2011 programme will be available on this website in September. Registration for the 2011 Samuel Beckett Summer School will start in December 2010.